Soon to be a major motion picture produced by Peter Jackson! 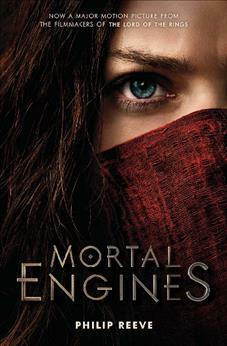 * Reeve's [Mortal Engines] remains a landmark of visionary imagination. --School Library Journal, starred reviewEmerging from its hiding place in the hills, the great Traction City is chasing a terrified little town across the wastelands. Soon London will feed. In the attack, Tom Natsworthy is flung from the speeding city with a murderous scar-faced girl. They must run for their lives through the wreckage--and face a terrifying new weapon that threatens the future of the world.SOON TO BE A MAJOR MOTION PICTURE PRODUCED BY PETER JACKSON! Philip Reeve is the bestselling author of the Mortal Engines quartet, which is now a major motion picture, and the award-winning Fever Crumb series. His other books include the highly acclaimed Here Lies Arthur and No Such Thing As Dragons. He lives in England with his wife and son. Visit him online at philip-reeve.com.